The research consortium of SHAPING SPACE will utilize a common physical infrastructure for our experimental work, theoretical discourses and teaching activities. This infrastructure will similarly be used for the communication (through exhibitions, performances, workshops and installations) of our research results to a larger non-academic audience. 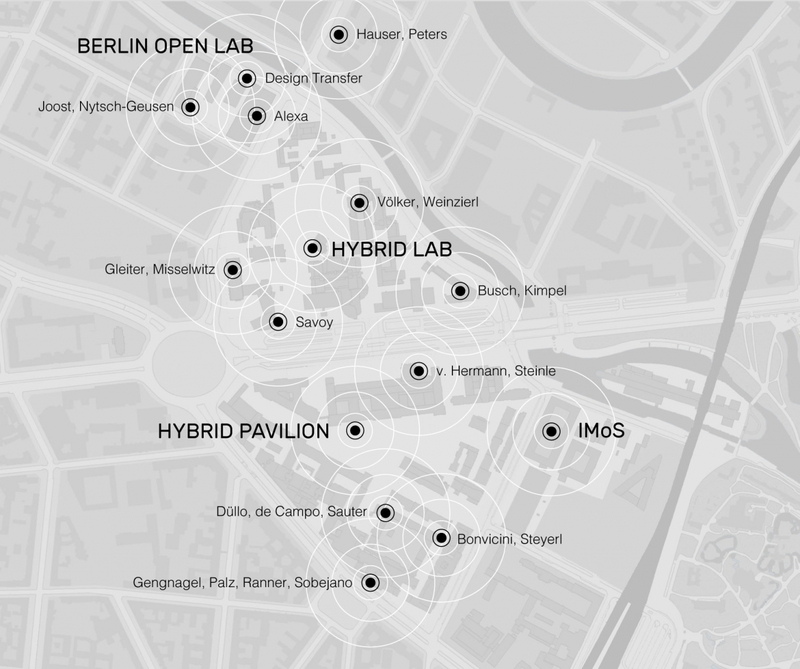 The environment is based on the existing infrastructure of the shared Campus Charlottenburg of TU Berlin and UdK Berlin, and is currently being extended by two important new facilities: the Berlin Open Lab and the Hybrid Pavilion.